The Yenching Palace opened in 1955. The building originally housed a seafood restaurant. 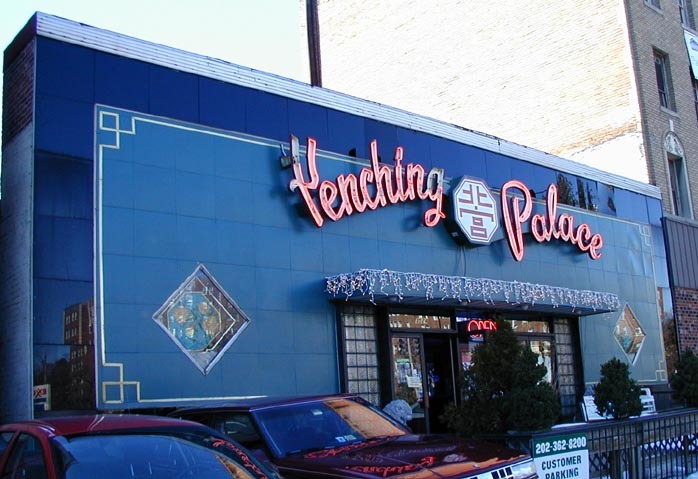 The Yenching Palace added the neon sign and blue tile facade when they moved in. It was the oldest Chinese restaurant in the DC area when it closed in 2007. 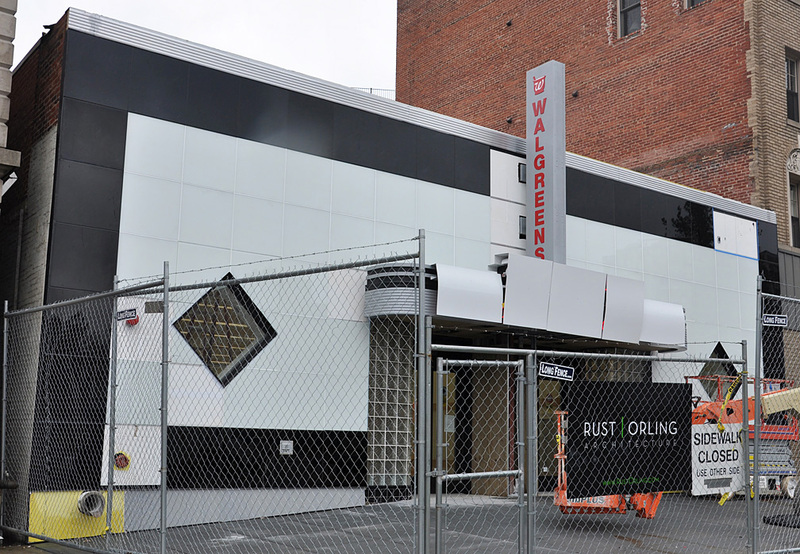 In 2010, a Walgreens drug store moved into the space. When the photo at the right was taken in 2010, the sign was gone and there was still work going on. The new facade is meant to resemble how the building looked in 1945. The sign, without neon, is now displayed inside the City Winery restaurant. For more, see these websites: 1 and 2. 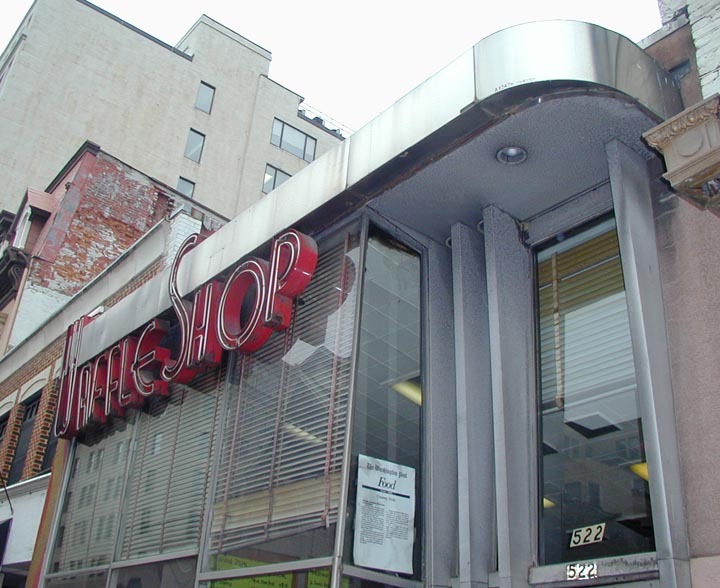 The Waffle Shop shown at the left opened around 1948. 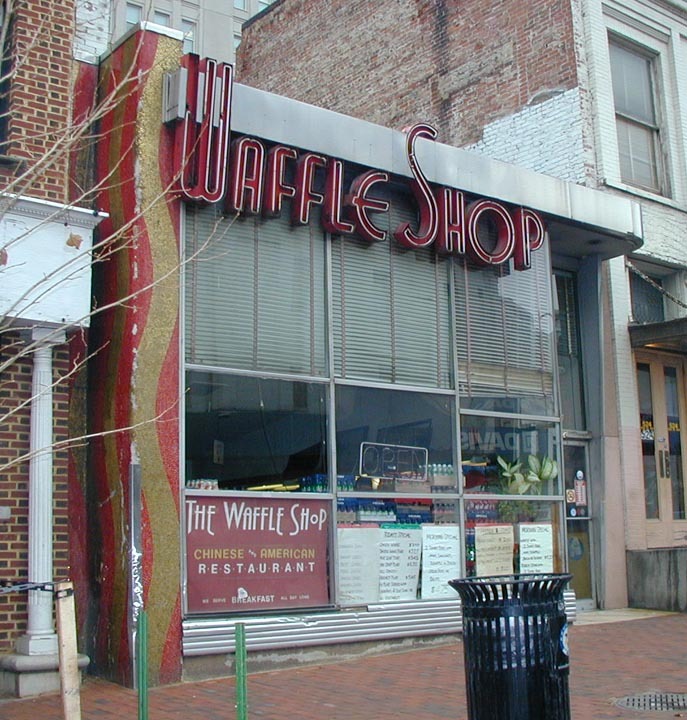 The chain had six locations in DC and this was the first one built. These photos are from 2004 when the interior still featured the original horseshoe-shaped counters with stools and a ceiling that slanted dramatically upwards from back to front. In its later years, the focus was on Chinese food but you could still get an American-style breakfast and lunch. 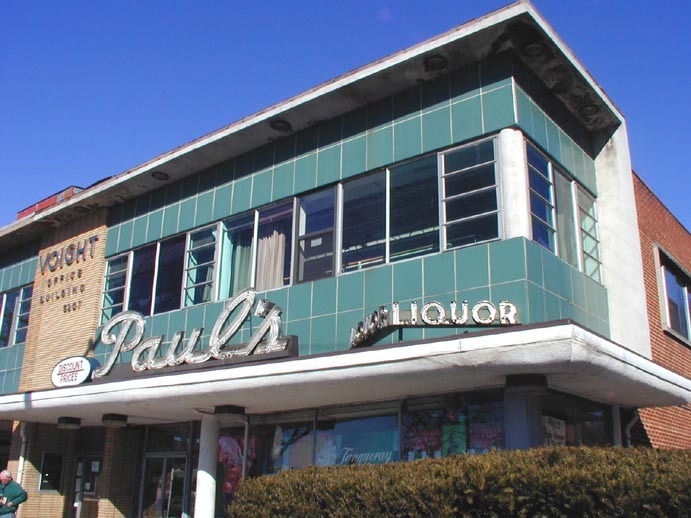 In 2007, the restaurant moved down the street and there was talk of the building being demolished. In 2010, the space was housing a t-shirt store and only the letters "W" and "S" remained on the facade. By 2014, only the "S" remained and the space was gutted and vacant. In 2015, building was completely demolished and the remaining "S" was gone. For more, see these websites: 1, 2, 3, 4, 5, 6 and 7. 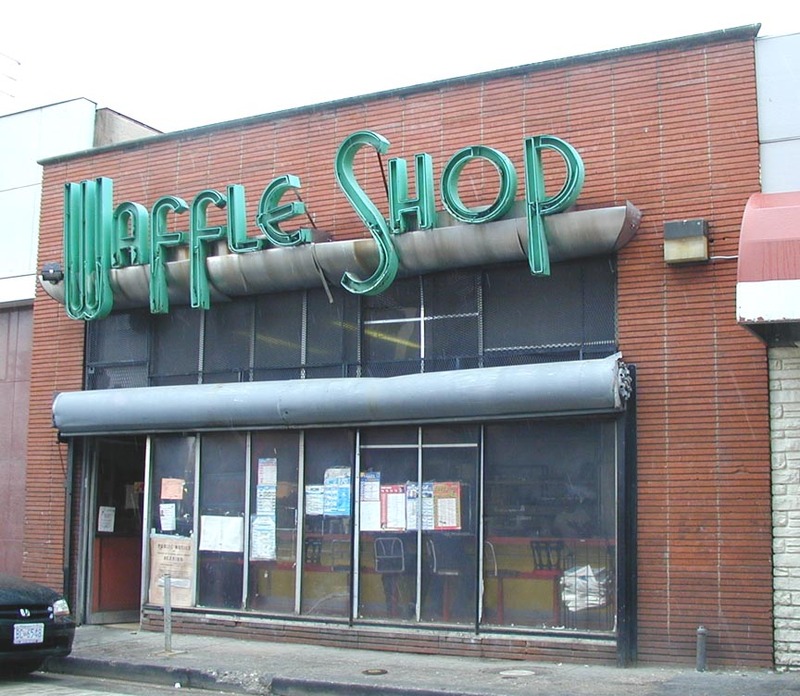 The Waffle Shop on the right also appeared to be 1950s. It featured a yellow and orange interior with formica paneling, terrazzo floor, and counter with stools. In its last years, the well-worn place featured Latin American food. In 2005, this location was demolished. I don't know how many were in this chain produced by Blue Bell Systems. I believe there is only one still-operating location left in Alexandria, VA.